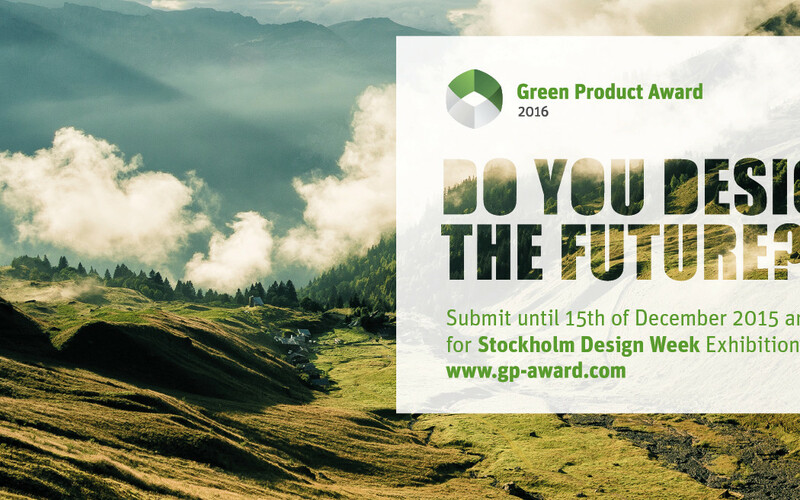 Submission for the Green Product Award 2016 has started. With the slogan „DO YOU DESIGN THE FUTURE?“, the international design contest seeks for innovative and sustainable products and services. Submissions from 21 countries have attracted more than 250.000 visitors at fairs and design festivals in 2015. More international exhibitions are planned for 2016. Participants that submit until December 15, 2015, have the chance to be exhibited at Stockholm Design Week 2016. Regular submission deadline is 29 February, 2016. Click here to register. Designers, business companies and students can participate in 13 categories – from office to research and home accessories. The jury including experts with different professional backgrounds evaluates the submissions, provides feedback and appraises the best products. With Prof. Kiersten Münchinger, Director of the Green Product Design Network at University of Oregon, and Meike Weber, Chief Editor of detail, we have gained two more distinguished jurors for the Award in 2016. Learn more about the Award, criteria, submission fees and the jury.